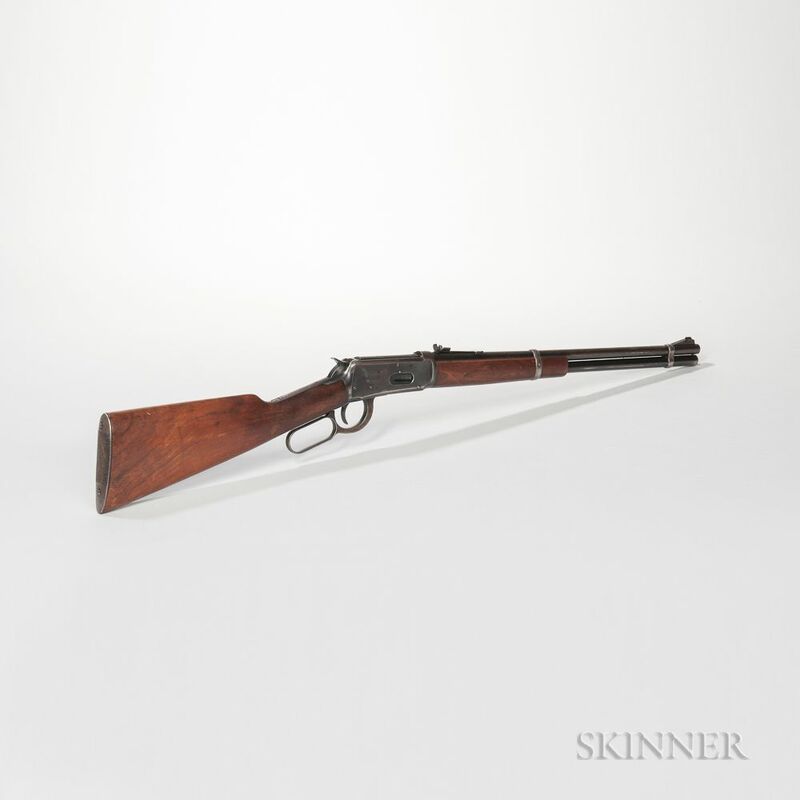 Winchester Model 1894 Rifle Identified to Texas Ranger Captain Frank Probst, c. 1943, serial number 1247171, .30 caliber, walnut stock, round barrel marked on the top "MADE IN NEW HAVEN, CONN. U.S. OF AMERICA/WINCHESTER PROOF STEEL/MODEL-94-30 W.C.F.," with a provenance paper dated 1993 from Mrs. Frank Probst, barrel lg. 20, overall lg. 37 3/4 in. Provenance: The collection of David F. Post. 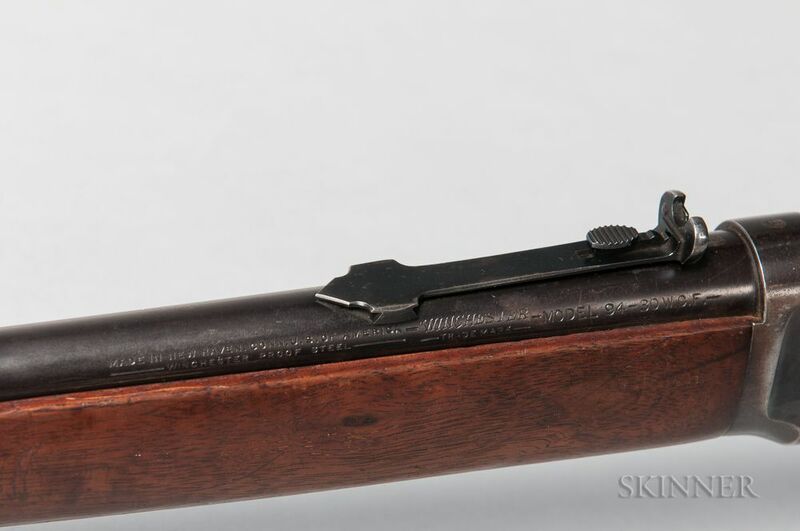 Stock has a few dings and nicks from use, the barrel and receiver retains about 75% of their blue, and the action functions properly. The bore is good but a little dirty.